Download the latest update to LabQuest 2 for enhancements, bug fixes, and new features. I have trouble getting my LabQuest 2 to turn on/start up. LabQuest 2 screen flashes white, and then black, when I turn it on. How do I set up LabQuest 2 and Graphical Analysis 4 to work together via wireless Data Sharing over Wi-Fi? 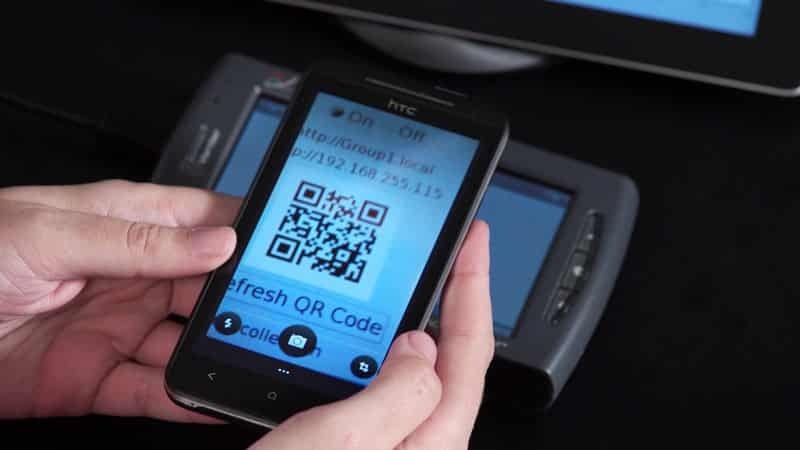 Do you have data-collection technology that works with Google Chromebooks? 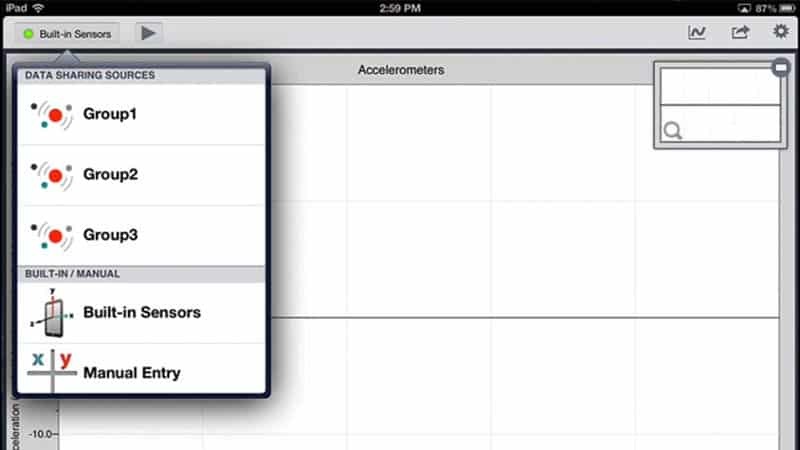 Can I use my Vernier "wired" sensors with Graphical Analysis 4 on an iPad, Chromebook, Android tablet, or other mobile devices? LabQuest 2 screen is unresponsive or acts like I am tapping on the wrong spot. Can I make a template for data collection on LabQuest? My LabQuest 2 GPS does not find satellites. 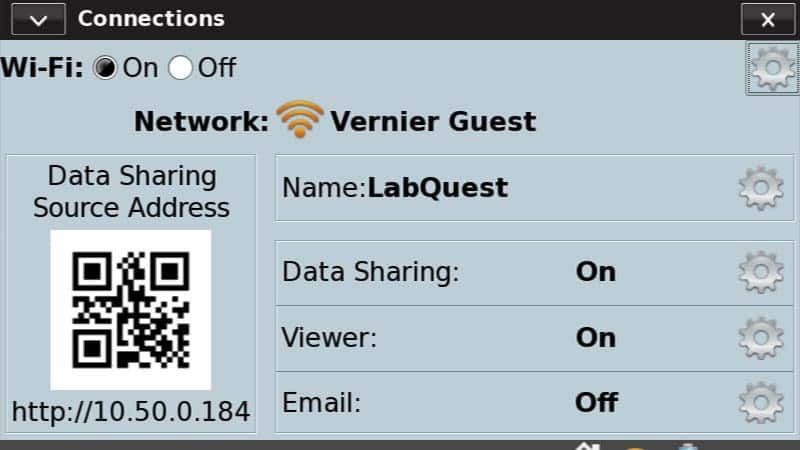 Learn how to collect, analyze, and export data from LabQuest 2 using Vernier Data Share and a web browser.